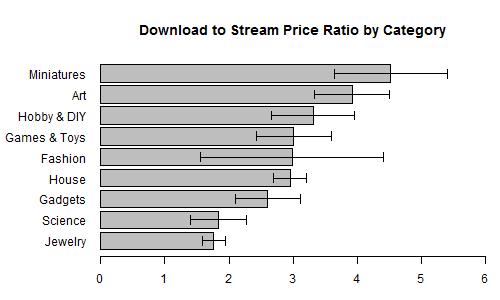 Basic economics predicts that the DSR should be greater than 1 because downloading the file encompasses streaming the file. We see that of the 1329 files 8.2% have a DSR less than 1. Additionally, those 1329 files were created by 193 designers of which 20.7 % have at least one incorrectly priced file. This points to designers misunderstanding the delivery system. The CGTraders files represent a wide variety of products and the pricing trends depend heavily on the type of file. 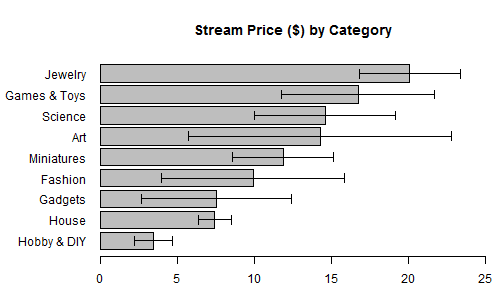 We see that Jewelry and Games & Toys are the categories that are most expensive to stream, while Hobby & DIY and House products are the least expensive to stream. This could be related to the level of complexity of the models. 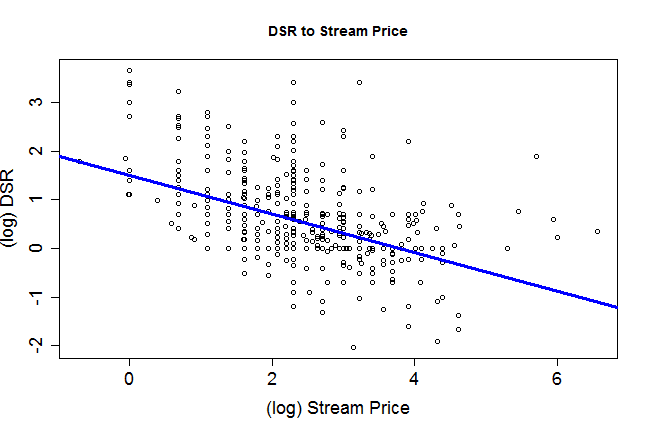 The DSR provides insight into a more interesting trend. Miniatures and Art have the largest DSR, while Jewelry and Science have the lowest DSR. This could be driven by the fact that Jewelry and Science are more unique and users may not need as many versions. At the other extreme Miniatures, Art and Hobby & DIY tend to be posted with more fear of proliferation to other sites and so the designers may be trying to capture more of the subsequent prints. This relationship is most likely not driven by the risk of distribution because a higher priced good would be more likely to be circulated. In total, this begins to sketch an interesting picture of the pricing process for digital content among 3D printing designers. This is a partial picture of the digital marketplace, but as 3D printing closes the gap between the digital and the tangible (private vs club goods) understanding the DSR (or similar measures) will become more important. Technical note: While these results are presented as independent correlations, they all maintain a similar interpretation when included simultaneously in a regression framework. These results are available upon request. Acknowledgements: Thank you to Dalia Lasaite and the team at CGTrader. 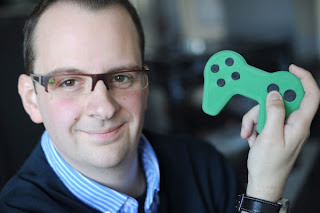 I am still following the 3D printing industry closely, but time constraints have moved me to Twitter. So much is happening daily, so follow me @3Dprintonomics to get up to the minute news. I will try and get back to more extensive blogging when everything slows down. 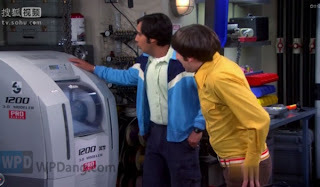 This incident follows on the heals of two other big moments for 3D printing in popular culture. 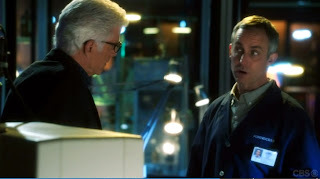 The first was a cameo of 3D printing on CSI: Las Vegas (Season 13, Episode 9) when a criminal used a 3D printed gun in a crime and the detectives had to figure out how to trace it. (Discussion on 3dprinter.net click here, for my other posts on 3D printed guns click here). This does not mean that the technology is ready for the general public. 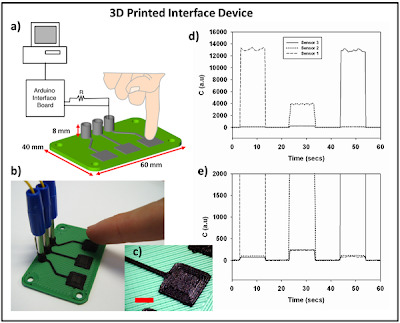 But it does mean that when it is ready, everyone will know what we are talking about and no longer look at a 3D printing advocate like they are speaking a different language. 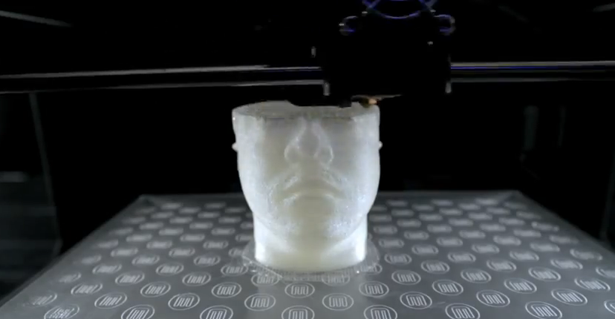 3D printing materials are rigid, that is until now. Objet announced earlier this week the release of 16 new materials. Bringing their industry leading materials count to 123 (press release). The new materials take the standard plastics that are on the market and manipulate their toughness and elasticity. This expansion allows for the realm of 3D printing to expand in ways that were not previously considered, such as "soft-touch coating, non-slip surfaces, knobs, grips, seals, hoses, and footwear" (See here for a gallery of other possibilities) that can add that extra comfort and functionality to a your 3D printed dream. 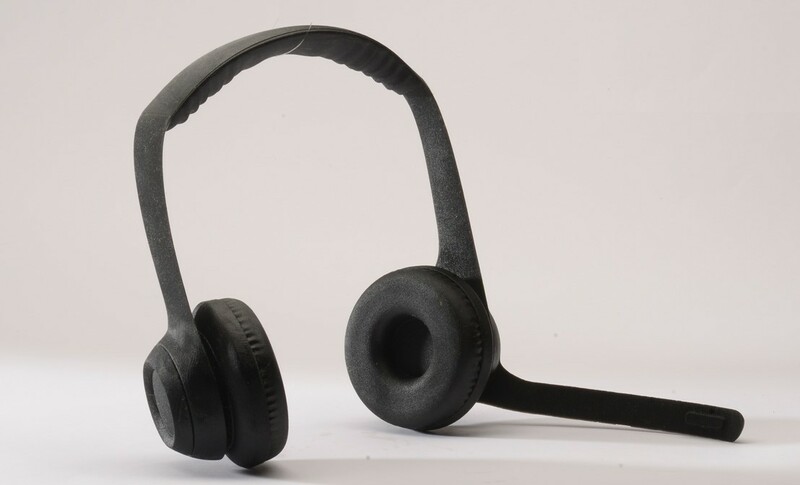 This announcement reinforces my point made in an earlier post that when/if the Stratasys-Objet merger goes through the new company will have a strong position in the material development sector of the 3D economy which promises to be huge! Infographic: "How Long till the Revolution"
Nathan Myhrvold: Patenting the "Unpatentable"
I am a PhD student in Economics at UCSD. Some may call me a crazy futurist, but I think that as technology marches forward 3D printing will soon be on the front line of innovation. By Ayal Chen-Zion, a QAG project. Awesome Inc. theme. Powered by Blogger.